PALNYC Partner Post: Don’t miss the Big Camp Fairs this weekend! Take a break from your holiday shopping this weekend and check out great summer camp options for your child. Our friends at New York Family magazine are helping families with children ages 3-to-teen discover the many kinds of day camps and sleep-away camps available to them. The camp fairs are free, family-friendly, and a convenient and helpful way to meet directors from day camps (in and out of the city) and sleep-away camps all around the Northeast. 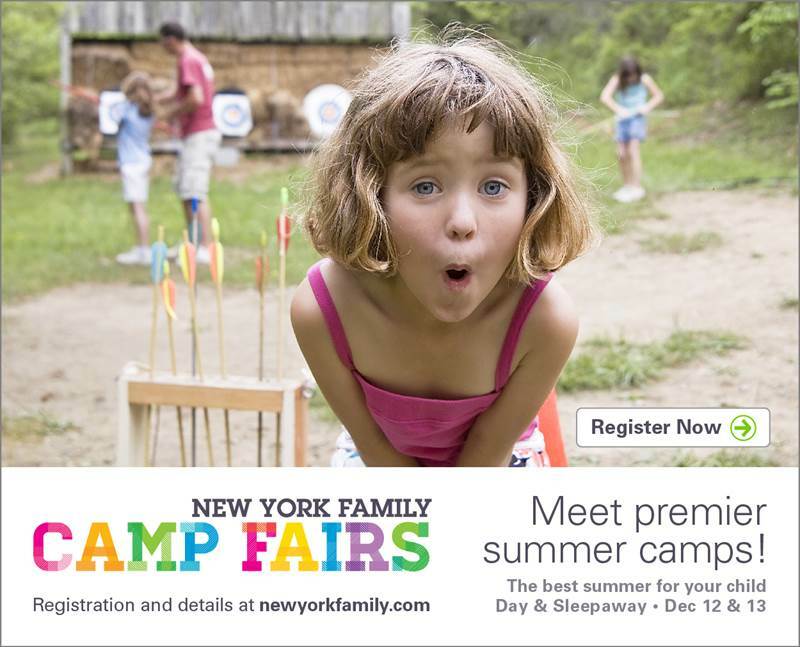 For more info about the camp fairs this Saturday and Sunday, visit newyorkfamily.com or register here.